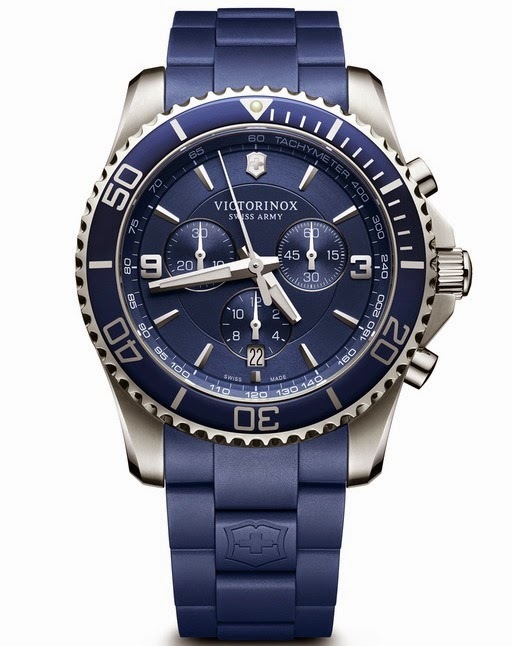 The extraordinary ride of Maverick, a veritable Victorinox Swiss Army bestseller, continues apace. After the redesign of the three hand watch model, the Maverick Chronograph has now undergone a complete overhaul. The Maverick’s new look is first apparent on the streamlined dial, where indexes take the place of numerals—except, for ease of reading, at 3 and 9 o’clock. Overall, the dial is brighter, due to differences in depth and a new surface treatment. Maverick Chronograph comes in the natural tones of the Swiss countryside: black, blue, green and chocolate. The same colours are found on the unidirectional bezel and rubber strap. Bracelet editions are also available, in choice of steel, gold PVD-treated steel or two-tone steel (steel/gold PVD). The unidirectional bezel scale is lacquer-protected on the rubber strap and steel bracelet models. Mineral glass protects the scale on the PVD coated and bicolor models, set deep in the bezel. 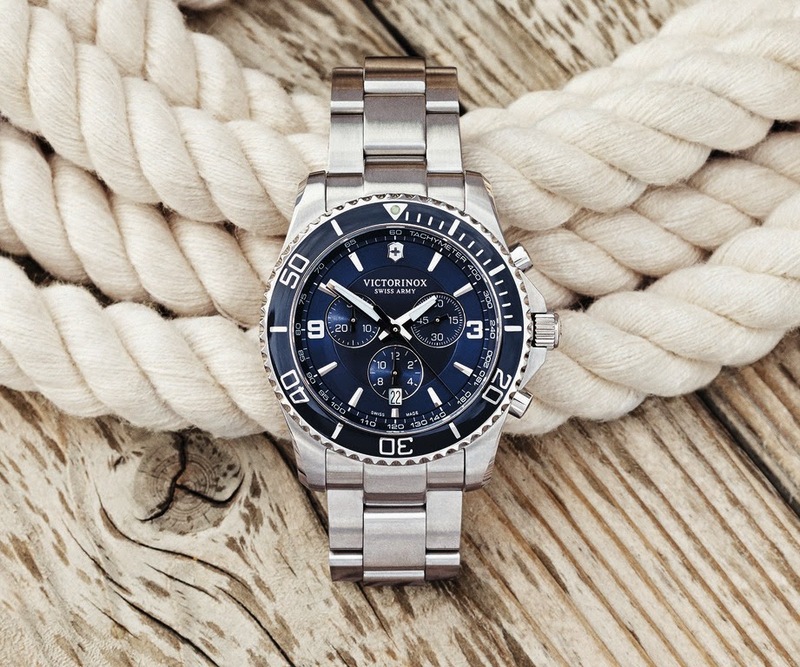 The new Maverick Chronograph is 43 mm and powered by a Swiss Made 5030.D Ronda quartz movement.